Hundreds of thousands of Turkish cats roam the metropolis of Istanbul freely. For thousands of years they’ve wandered in and out of people’s lives, becoming an essential part of the communities that make the city so rich. Claiming no owners, the cats of Istanbul live between two worlds, neither wild nor tame — and they bring joy and purpose to those people they choose to adopt. In Istanbul, cats are the mirrors to the people, allowing them to reflect on their lives in ways nothing else could. Critics and internet cats agree — this cat documentary will charm its way into your heart and home as you fall in love with the cats in Istanbul. ABOUT KIRA FONTANA: Always a great admirer of the independent spirit of felines, Kira fell in love with the idea behind KEDI. 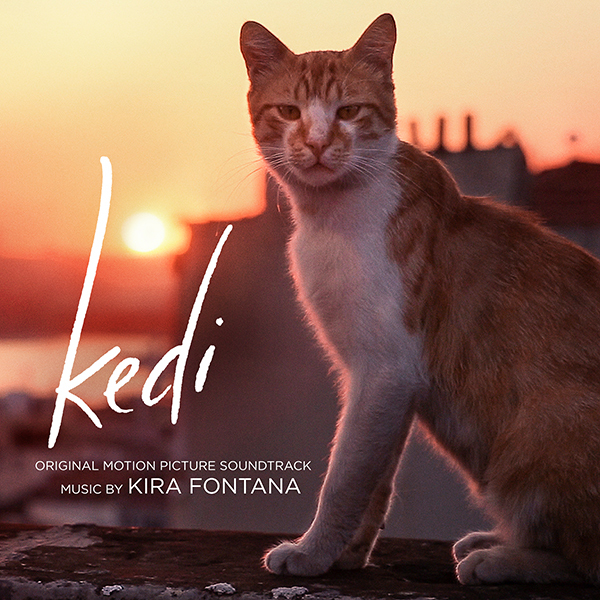 Intrigued to learn of the millions of street cats in Istanbul and the special bonds they create with humans, Kira was delighted when director Ceyda Torun approached her to write the music that would help bring these magical stories to life. Kira strove to create an ethereal sound world that reflects the role cats play as both mirrors to the main human characters, and as observers of the city's ever changing nature. Kira earned her BM in Composition from the Eastman School of Music, and her MM from the Yale School of Music. Her main composition mentors were Steve Reich, John Adams and David Lang. She now lives in Los Angeles, where she is an active composer and songwriter.